If there is one country that you could wish to travel from north to south to experience diversity and real beauty, South Africa is that destination to consider. Be transported through mountains and valleys on your two-night train journey to then discover the colorful city of Cape Town and the beauty of the Winelands. If you thought that was all, wait until your African Safari experience in the Sabi Sand Game Reserve. This package is a fourteen-night experience of one of the most intriguing destinations. An exploration of a lifetime! On day one of your vacation, you will arrive at the Johannesburg International Airport and be met by a Rovos Rail representative who will be your personal chauffeur-slash-guide as he or she drives you to the Rovos Rail Private Railway Station in Pretoria. 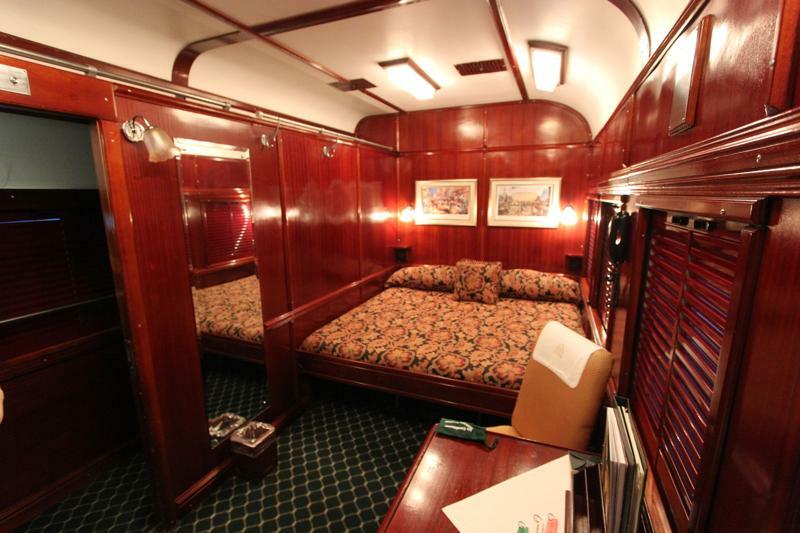 Rovos Rail offers luxury train journeys to a wide variety of destinations in Southern Africa and further North. You can take a relaxing two-day trip from Pretoria across South Africa’s scenic heartland and coastlines to arrive in Cape Town, or you can spend a few more days on board and take the trip from Pretoria to Dar Es Salaam or the Victoria Falls. Sit back and relax while you listen to the start of the steam engine and feel the surge of the train as it embarks on its journey southwards. As one of the world’s most luxurious trains, you will enjoy a two-night journey, stopping off in historic villages, Matjiesfontein, and Kimberly for a taste of true South African culture. You will travel through some of this country’s most spectacular mountains, valleys and vast Karoo landscapes it has to offer. The deluxe suites (11 square meters), which are able to sleep two passengers comfortably in a double or in twin beds are also equipped with a writing surface, personal safe, bar fridge and an en-suite bathroom with a shower, hairdryer and shaver plug. A more homely atmosphere you could not wish for. After your restful train journey, you will arrive in Cape Town station and a private chauffeur will pick you up and drive you to Bantry Bay, where you will stay in the beautiful Ellerman House. Ellerman House is part of the magnificent Relais & Chateaux hotel group offering you ultra, five-star luxury accommodation, and services. Ellerman House is one of Cape Town’s foremost luxury hotels on the Atlantic Seaboard and commands superior views of the Atlantic Ocean. Comfort is paramount at Ellerman House and each room is uniquely furnished to provide the maximum amount of relaxation blended with splendor. The central location provides visitors access to all the activities that Cape Town has to offer within easy reach. This is where your vacation really begins. Ideally located Cape Town is now your ‘oyster’ and from morning to evening you can explore is full capacity of attractions: Robben Island, Table Mountain, one of the seven natural wonders of the world and Constantia Winelands. But the sky is the limit in this vibrant city. After a scrumptious breakfast on day 8, your personal chauffeur will again meet you and drive you to Paarl in the Cape Winelands, approximately a one-hour journey from your hotel. Upon arriving at your new destination, the Grande Roche, you will be situated at this lovely hotel and have free reign to explore the many wine estates and award-winning restaurants of the area. The Grande Roche is a beautiful boutique hotel situated on a wine estate set in rolling vineyards and spectacular mountains outside of Paarl. The Grande Roche has been lovingly restored and turned into one of the most spectacular hotels in the Cape Winelands. This region is absolutely teeming with world-class restaurants, wine estates, and golf courses, and outdoor activities and should you wish to participate in any of the action, we will gladly arrange reservations at any restaurant or golf course of your choice. After you wake up on your twelfth morning and enjoy breakfast, your chauffeur will drive you to the airport to hop a flight to Nelspruit. 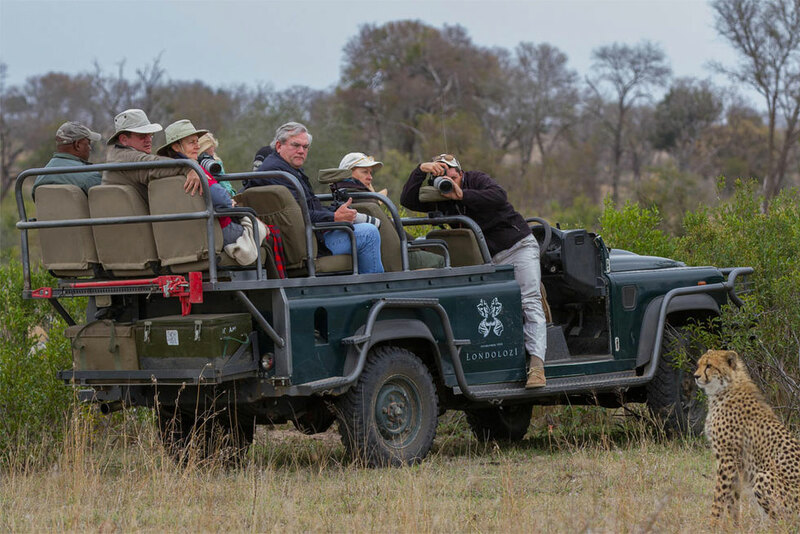 Don’t forget to pack your camera for the safari adventure to come, because the Sabi Sand Game Reserve you’re heading to is spoken of worldwide for its wildlife. After landing in Nelspruit, you will be driven to the lavish Londolozi Tree Lodge in Sabi Sand and spend three nights in this beautiful location, having ample opportunity to go on a real-life safari. On the morning of day 15, it’s time for your vacation to draw to a close. You will enjoy a wonderful breakfast at Londolozi Tree Lodge and then catch a ride to the Sabi Sand airstrip. From there, you’ll land in Johannesburg via the Oliver Tambo International Airport and board your flight back home.